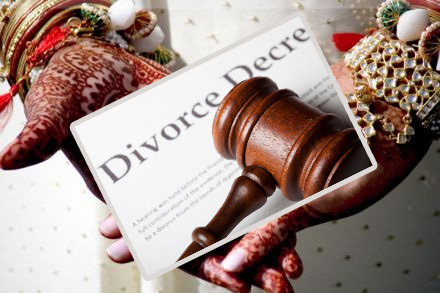 In India, the worst victim of any divorce is neither of the partners; rather, it’s the children. As adult behave in an emotional way that is far from the expected role of parents, the children suffer undeniably and grow complications with lasting impact on their lives. Let’s face the ugly truth: partners can go separate ways, parents need to stick around. If and when you realise this and start acting upon it, it no more stays an ugly truth, rather you, your estranged partner and your child: everyone benefits from the situation, forms realistic and positive bonds and enjoy living without any stigma attached to the divorce. A Joint Custody, simply put, makes each parent equally responsible for the upbringing and wellbeing of the child. When partners have difficulties living with each other, they must realise that as parents, they need to be in it together. A Joint Custody is a win-win for both the parties: the partners and the parents. • Why should you consider it? a) Suppose you take your kid with and you are a working father. Financially, you are securing the child’s upbringing a future. The school doesn’t need to be changed; the wants and needs are all taken care of, as far as financial records go. Yet, you can’t possibly fulfil the role of the care-taking parent. A child, as we all know, doesn’t grow up on bread and butter alone. With Joint Custody, you will be maintaining the balance of financial support and loving care. The working mother needs to realise that she will never fulfil the role of the father, as well. b) When the child is left with the non-working parent, the child’s life is bound to change economically. The constraints will increase the tension and trauma of the divorce. And the lawyers for divorce in Chandigarh know well enough that the child ends up holding bitterness against both the parents. c) It’s normal and expected that the partner will live separately after the divorce. The child getting to move from its home at an early age has a huge impact on the tender mind. The uprooting may affect the child’s idea of stability and the need of it forever. However, with Joint Custody, this can become easier. d) The relatives and parenting styles in a Joint Custody let the child stay connected with its entire family and have a balanced upbringing. Parents need to realise that they would invariably try to overcompensate for the divorce. With Joint Custody, the adverse effects of this over compensation can be minimised, leading to a healthier upbringing.